By @SimonCocking. 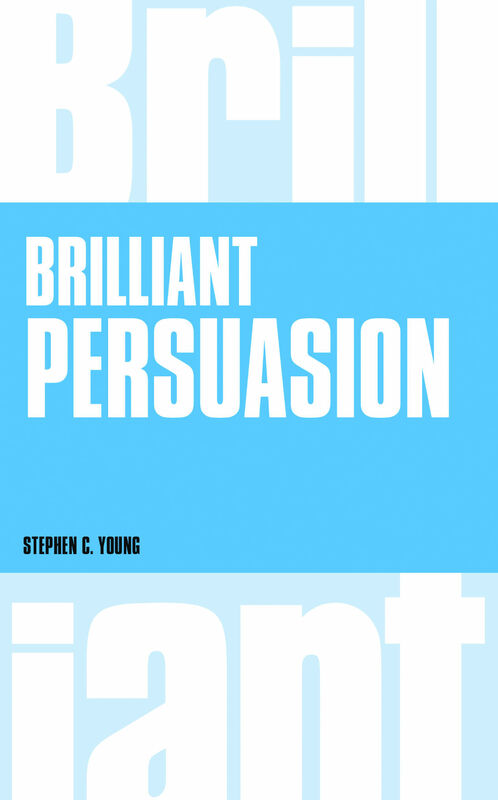 Review of Brilliant Persuasion by Stephen C Young, available to buy from Amazon here. Have you noticed how for some people it seems effortless, while the rest of us – maybe you, would benefit from a little help? Step by step, Brilliant Persuasion introduces you to a formidable selection of some of the most powerful persuasion techniques used by the most successful business men and women throughout the world. In one way the concept of this book is a little scary. An evolution from ‘How to win friends and influence people’ to ‘How make people do what you want ….’ Then again perhaps that is actually quite a logical goal, and life certainly would be a lot easier if people did understand what we are trying to say, and what we’d like to achieve. As you can perhaps tell, we approached this book a little cautiously and perhaps even dubiously. At the same time, as people who still make a living from the words we craft, language, and how we use it is important. There are some useful, interesting parts of this book. If nothing else learning how to read when your teenager is probably actually lying to you is not unhelpful (though some might say ‘always until proven otherwise’). The more we read the book, the more we thought perhaps it was best that not everyone read it, because otherwise you wouldn’t get the benefit of the tips shared within it. On the other hand perhaps if we all improved our communication skills the world might be a better place too. Overall it is a useful, interesting book, you might not use everything in it, but for as long as we are still humans having to deal with other humans then it is a useful insightful book to read. Next ArticleEvents for Entrepreneurs: What are they good for? Absolutely nothing? It depends.